TRENTON â€” Former Pennsylvania Gov. Ed Rendell is dismissing Gov. 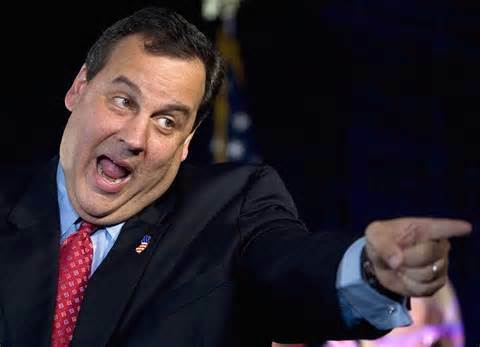 Chris Christie as a non-factor in the presidential race because of the controversial closing of lanes to the George Washington Bridge. He named Jeb Bush as his favorite GOP contender. Well, he most certainly isn’t, so long as he runs under the GOP banner. But about a year ago, I came out in these spaces and predicted that we’d see Christie change parties and run for the White House as a Democrat. That’s aprediction I stand by insofar as it’s the only way he will surface as a candidate for the office. Rendell is correct that “Bridgegate”, however manufactured, is going to be too big an issue. But watch… Let’s play a game of “What if”…. Such a move also pits him squarely against a very deeply flawed Hillary Clinton, and the specter of a third term for a deeply unpopular (even in his own party) Obama… and even absent the constitutional issues, it’s our assessment his political career is over when he leaves the office. This is a situation which makes the White House attainable for Christie in ways it never would be if he stayed with the GOP, a party he has invariably come down to the left of, despite the party’s own left leaning. I’m slightly more skeptical of my prediction, at the moment, but then again, the time between now and the next presidential cycle is two long (and for the Democrats, painful) years away. And as I say, it’s the only out for Christie, an obviously politically ambitious man.